Sweet Scarlet Baking: Have a Nice Day! 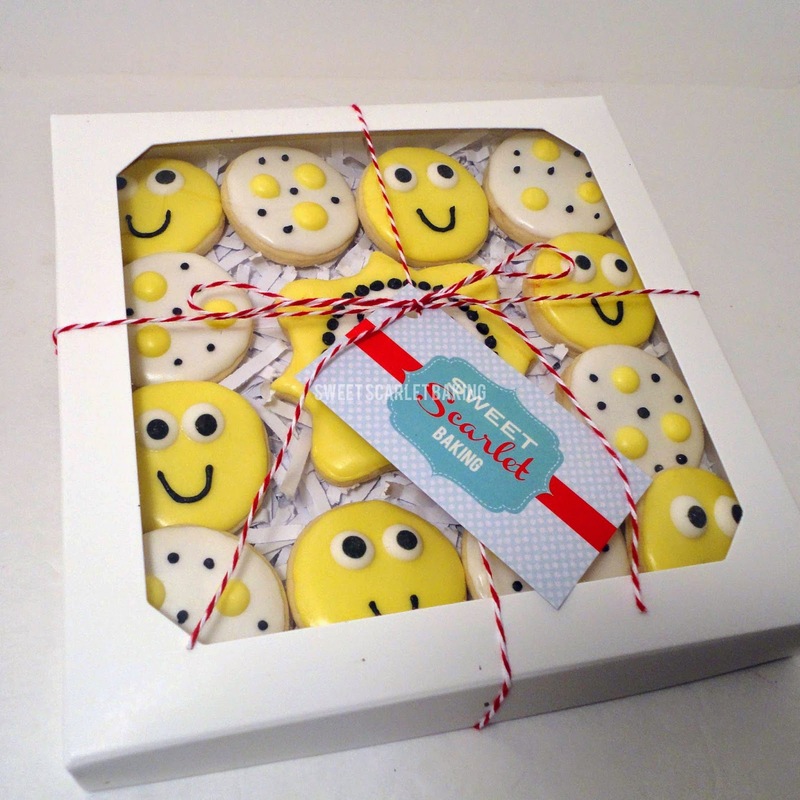 Aren't these cookies happy?! 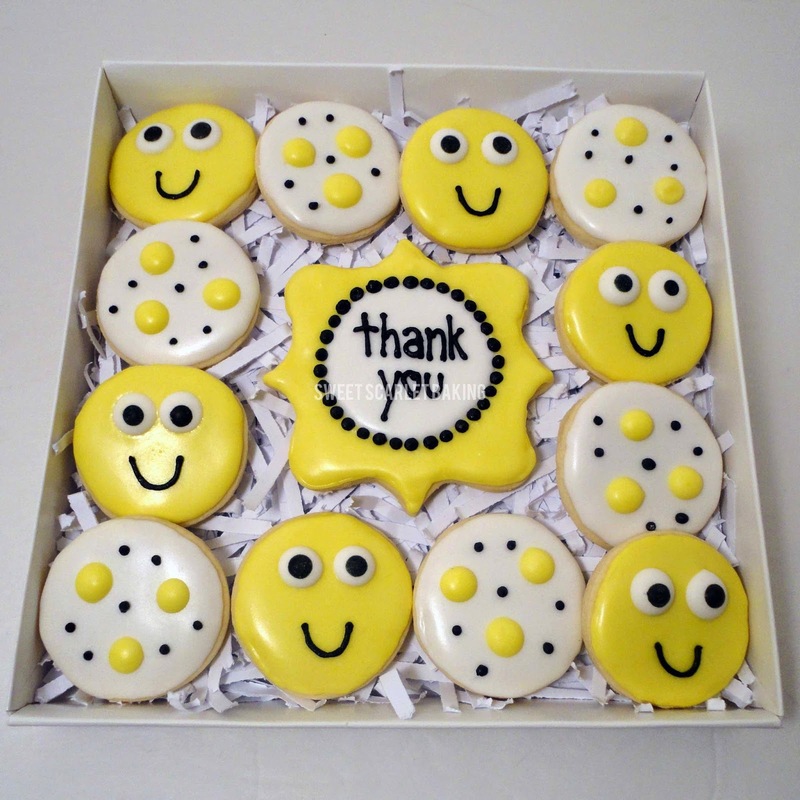 They make a sweet little gift to show your appreciation. 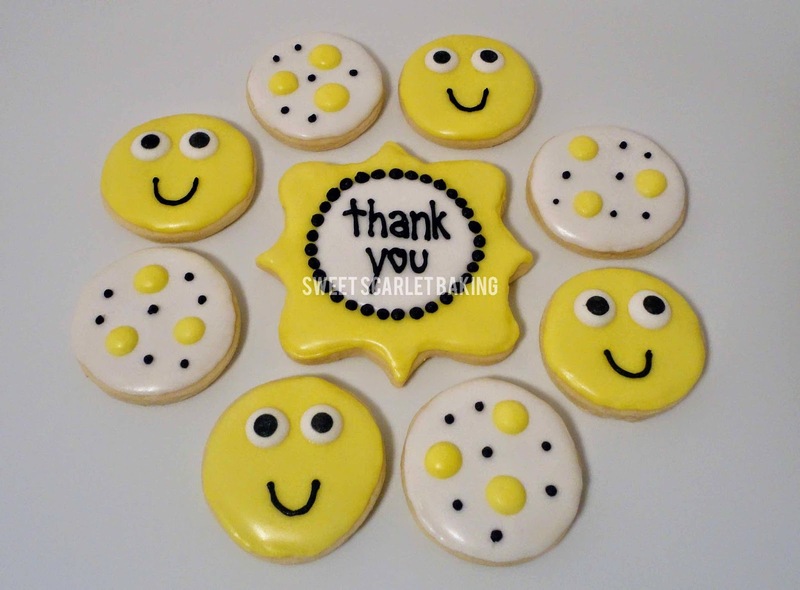 I made these smiley decorated sugar cookies to say a big "thank you" to our neighbors. We have the best neighbors! The weather has finally gotten warm here, but when we turned on our air conditioner, it was not working properly. So, I called our neighbors for a repair company recommendation. They have lived in their home since our neighborhood was built over 50 years ago. Not only did he give me a recommendation, but he offered to come take a look before I scheduled a repairman. He fixed our air conditioner himself, including driving to the store to get the proper part. Who knew that he was a licensed refrigeration/HVAC repairman?! Although, it makes sense after all those years of owning his own bakery. It is so nice to have such wonderful neighbors! I want some too! Your wonderful neighbor deserves more than a box of this. A busted air-conditioner makes for a bad day. At least this more than made up for the fact that it got fixed in a day for free! Most repair people have to be scheduled for an appointment and can be quite expensive, especially if they have to do a lot of repairs. In your case, all it took was a box of cookies! Have a great day!